The 01442 area code is a 4 digit geographical dialling code (excluding the zero) used in telecommunications for the Hemel Hempstead area. The local telephone numbers within the 01442 are 6 digits long. The correct format in which to write a telephone number from the Hemel Hempstead area code is (01442) [x][x][x][x][x][x]. Where is the 01442 Area Code? The Hemel Hempstead 01442 dialling code is situated in the county of Hertfordshire in the East of England Region of the UK. 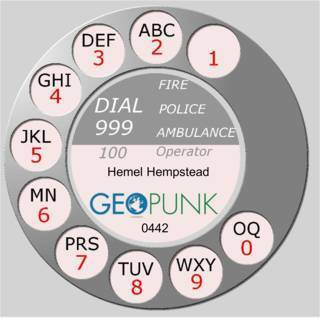 When do I need to use the 01442 Hemel Hempstead dialling code? You will need to use a dialling code if you are calling from a mobile phone or a landline outside of the 01442 Hemel Hempstead dialling code area. If you are calling a local number within the same area code with a landline telephone you do not need to use the 01442 dialling code. If you are calling from outside of the UK. You will need to add the code for dialling internationally. This varies country to country, followed by the UK country code (44) followed by the area code without the initial zero (1442). Before the 16th April 1995 known as PhONEday which changed telephone area codes by inserting a 1 at the beginning. The area code was 0442.
the historic mnemonic code for the 01442 area was HH2. The first two characters are taken from the letters H and H in Hemel Hempstead. On an old rotary dial telephone this was entered by dialling the numbers 4, 4 and 2. An old rotary dial for the Hemel Hempstead area code. 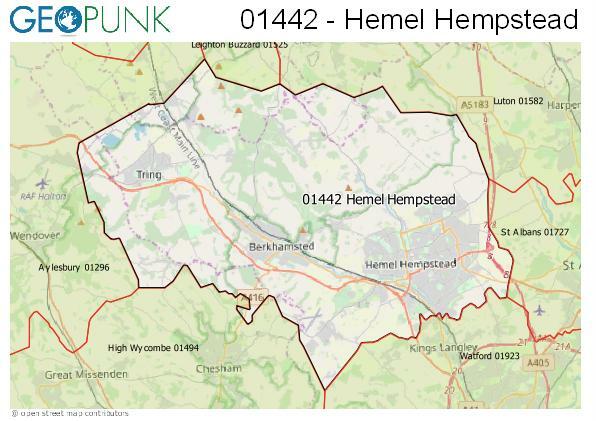 The shaded area on the map represent the estimated extent of the 01442 Hemel Hempstead phone area code.